I have always been drawn to the ocean and like a lot of other Aussie kids we were always at the beach so I grew up loving being on, near and under the water. I enjoyed art and creating stories as a child and always wanted to be a marine biologist but I never would have dreamt that you could do them both as a job! I have created my dream job combining my love of art and science to help people to “Picture your ideas” as a creative and visual communicator. 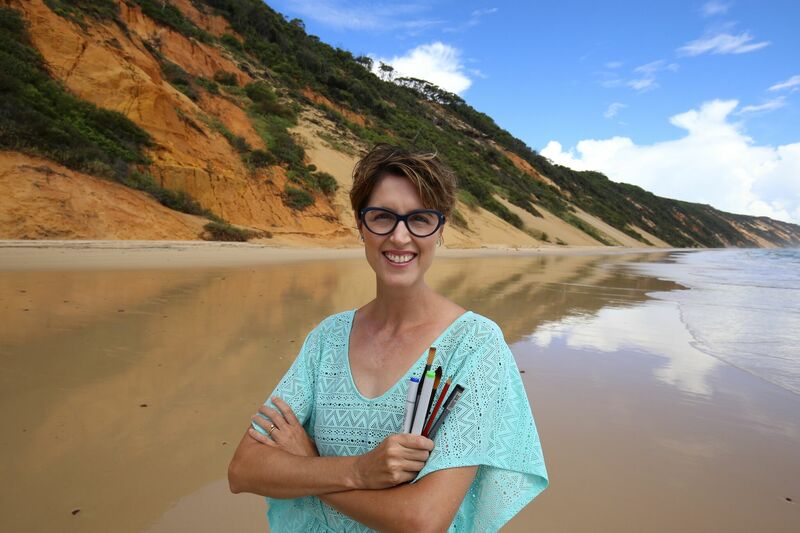 My work also involves school visits as my alter ego Dr Suzie Starfish who uses the art of marine science and storytelling to engage children with the wonders of our living oceans. What is your background/what did you do before Dr Suzie Starfish came on the scene? I’m a marine scientist and always did art on the side throughout my studies and career, so I don’t have any formal art training. Before Dr Suzie Starfish arrived I worked in various senior roles across Government and research organisations managing diverse policy and planning agendas from marine conservation, aquaculture and fisheries, regional development, transport and agriculture industry development. What does the International Year of the Reef mean to you? 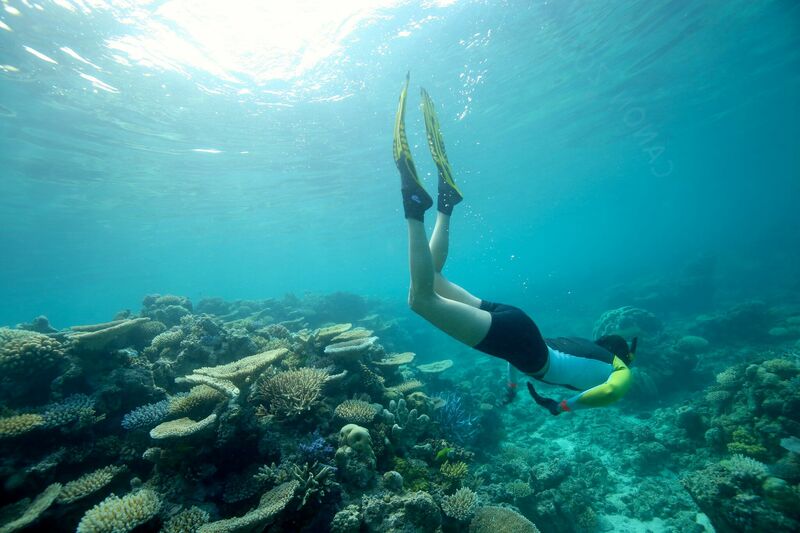 To me the IYOR is a time to celebrate, showcase and share our love of reefs. Reefs are not just beautiful places to visit and ‘sea’, they provide us with important ecosystem services, so we need to learn about, live with and love our reefs. What have you been doing this International Year of the Reef? 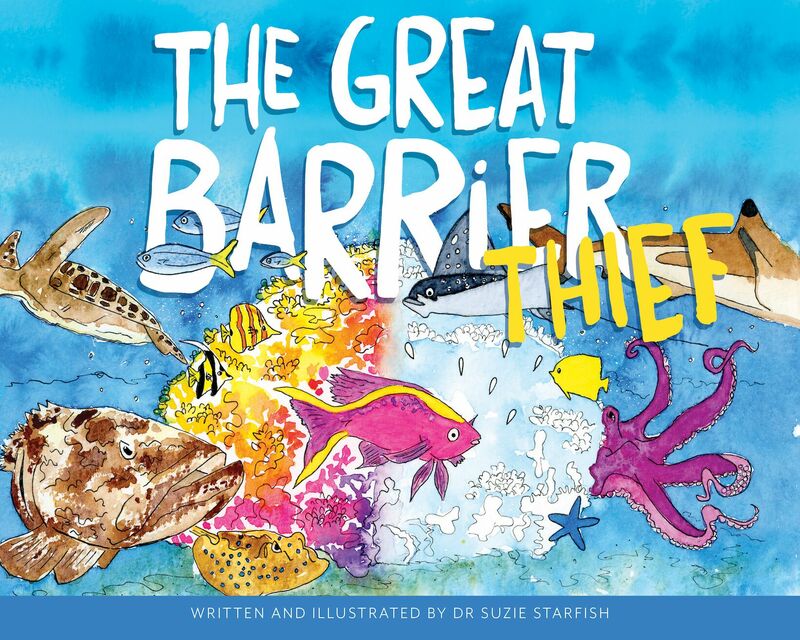 As Dr Suzie Starfish I have just written and illustrated my first children’s picture book, “The Great Barrier Thief”, released in the International Year of the Reef. This story illustrates the impacts of climate change on the Great Barrier Reef and is designed to educate children about the impact of coral bleaching and what can be done to look after and protect the reef. Tell us about ‘The Great Barrier Thief’. The illustration inspiration for this story was taken from my many visits to the Great Barrier Reef, with and without their colours. The story is told through the eyes of a feisty fish called Anthia who starts to see the disappearing colours of the reef as a warning sign that the reef is in trouble. You will need to dive into the story to find out how Anthia and her friends find The Great Barrier Thief and bring the colours back to their underwater home. 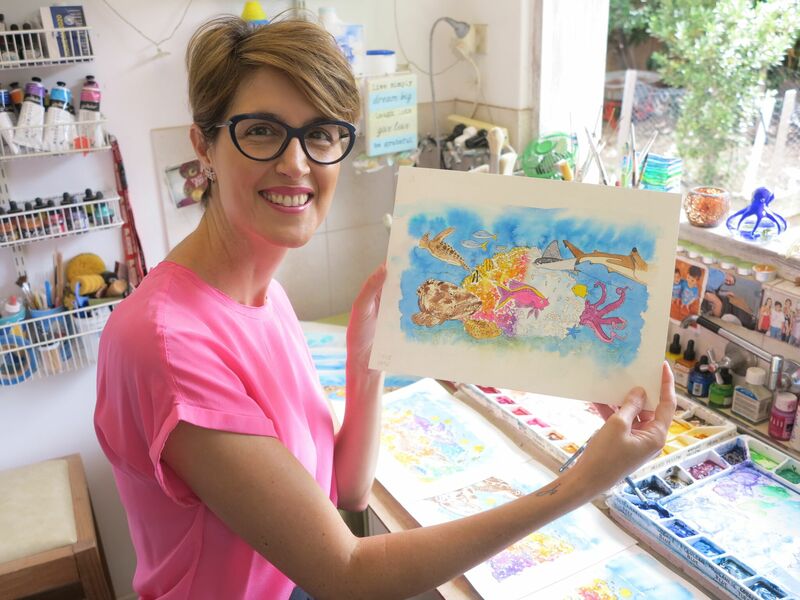 This picture book has been a labour of ocean-love for me and I want it to educate, engage and excite children about the Great Barrier Reef to help them fall in love with the reef. I believe if you love something you are more likely to want to look after and protect it. So I hope my children’s picture book provides a fun and educational way to learn about the living colours of the reef. I’m also very excited to ‘sea’ the reaction of people when I launch my book by the bay in Brisbane soon! What is the message you want to convey with your book? I think good news travels fast vs doom and gloom so I have written a story that draws attention to the impacts facing the reef but which also gives children hope that there are ways that each of us can do something to help the reef, no matter how big or small we are. I want children to read this book and say “I can do that! I can help protect the reef”! We are seeing unprecedented coral bleaching events on the Great Barrier Reef and reefs around the world due to global warming and our corals are in deep trouble. So we need to cut our greenhouse gas emissions now to ‘cool things down right away’, so our children have a reef tomorrow. Do you have any advice for future scientists or artists? My advice for any future and budding marine scientists, artists and storytellers is to just dive in be the change you want to ‘sea’ in our Blue Planet. AND always follow your heART and if your dream job is not out there, create it, as you can turn something you love into something you live! For more information about Dr Sue Pillans or her book ‘The Great Barrier Thief‘ you can visit her website here .